Home Fashion & Entertainment Movie Actress: Mojisola Olaiya kisses the earth "goodbye"
Movie Actress: Mojisola Olaiya kisses the earth "goodbye"
After the dimise of other two veteran actors in nollywood, the bad wind blew and struck again as another colleague is on the path of the virtous heroines of the industry. Popular Yoruba movie actress, Moji Olaiya, has passed on in Canada barely two months after she welcomed a child. She died on Wednesday night after she reportedly suffered a cardiac arrest. Although her family is yet to issue an official statement, her colleagues have taken to social media to express their grief. She welcomed her first child in Canada a few months after she officially divorced her first husband. 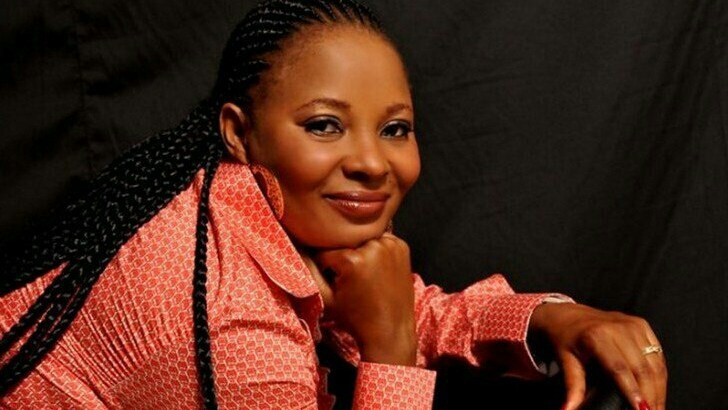 She was previously married to Bayo Okesola. Her death comes as a rude shock because her last post on Instagram was less than 24 hours ago.